Tale of a bar dancer in Mumbai, erstwhile Bombay, the land of dreams. Mumbai has always occupied a unique space in collective Indian mind. 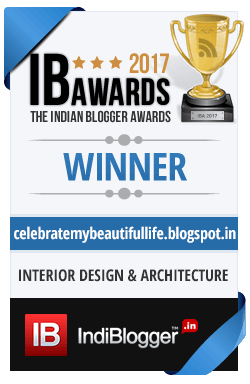 It is the most fashionable, most headline-grabbing, most glamorous and the most sought after city where India's biggest celebrities (actors, cricketers, businessmen, industrialists, playboys etc.) reside...This is the city of dreams, this is the city where 100s arrive everyday in dreams of becoming the next Shah Rukh Khan or next Aishwarya Rai, next Sachin Tendulkar or next Ratan Tata! And like all the great cities in the world, there is a flourishing underbelly to this glittering city too. An underbelly full of violence, broken dreams, disappointments, crime, seedy localities, slums, abject poverty...This side of Mumbai is as widely covered in our popular culture as the glamorous and rich side of this megapolis. A famous (or infamous!) shade of this underbelly has been the Mumbai bar dancer industry. This issue gained widespread attention with the movie Chandni Bar by Madhur Bhandarkar. Even in many other movies, bar dancers have played a prominent role, especially in stories related to underworld dons and notorious criminals. In modern Bollywood, bar dancers have often replaced the role played by Helen and Bindu in classical Bollywood era, that of quintessential 'item songs' girls to make movies more mass-based and commercially viable. In real life, most of the time, they have not been considered anything more than a 'prostitute' who puts the front of a 'mere dancing girl' to lure customers/patrons. Ask any common Indian on the street and it would be rare to come across a good opinion of bar dancer girls. For a layman, a 'tawayef' in 'kotha', a prostitute in red light district and a bar dancer are one and the same. But where did these bar dancers come from? Beneath all the seedy dance bars, shady patrons, gaudy costumes, layers of makeup and whispers of prostitution, surely these are also human beings with complex personalities and complicated emotions. Does the society assume that a person is born with dreams of being a bar dancer? Why do we not look at them as humans anymore? What is their perspective on this attitude of society towards them? Do they wish to leave this industry and if they did, would the society accept them as a normal, dignified individual? 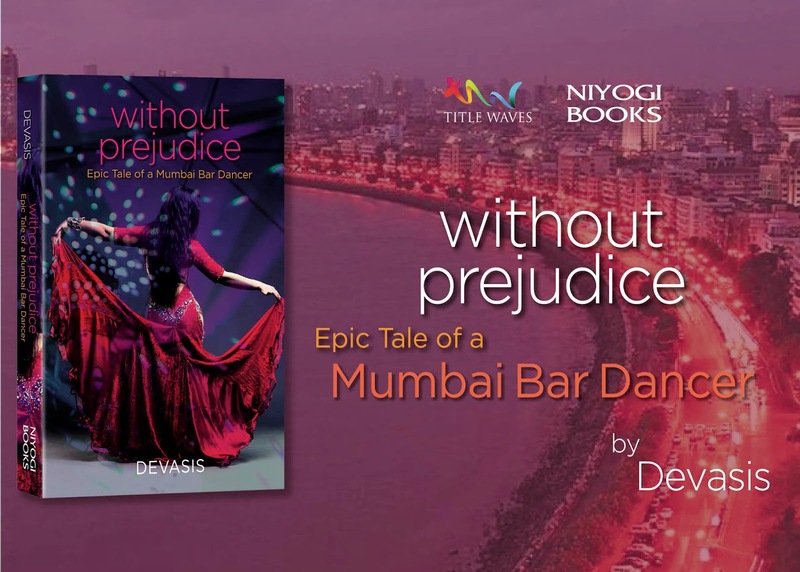 Without Prejudice by Author Devasis is an attempt to delve into this industry through personal story of 1 bar dancer, gleaned from his personal research into the subject matter and it does throw up some eye-opening facts related to bar dancers. We meet Munia as a little child on the cusp of teenage, bartered as a precious cattle to be fed and groomed for her future role as a concubine, her destiny already pre-decided because of her caste. Through the eyes of her groomers and childhood 'protectors' (who frankly are saving her just to throw her to the wolf who pays the most for her innocence), we see her transform into Pallavi and then end up at perspectives shared by Roy and Rajkumar, 2 men who play an important role in Pallavi's life as a young bar dancer. Through their conversations and Roy's research into bar dancers' history (he is a journalist), the reader also understands the nuances of this sensitive, complicated topic. 1. When I started Without Prejudice, frankly I thought this would be a typical 'prostitute with a heart of gold' story-line. Yup, I am ashamed to recognize myself as someone who takes refuge in stereotyping too. Having seen many movies like Pretty Woman, I thought that is the only track a story like this can take. Here is a woman, she is pretty, young and innocent with big dreams, she comes to Mumbai to achieve success and gets sucked into the big bad underworld where she is forced to sell her body and then she meets a handsome, kind hero who saves her from this wretched world because he recognizes her precious heart and they live happily ever after! The story is pretty tightly scripted and while there are many cliches involved, they do not overshadow the fact that characters in Without Prejudice are richly developed, complex and give us an insight into their thought process. Yes, there is a happy ending and the last 20 pages of the story felt a bit rushed but it still ended up being very different from what I had expected. I finished the book in one sitting which would have been impossible if it was just another reproduction of something like 'pretty woman'. So kudos to the author for bringing to life a unique story. 2. Though the title says it is the journey of a bar dancer, we also see glimpses of other issues such as lack of communication in modern marriages, inside working of dance bars and HR policies being implemented informally there, political patronage supplied to seedy underbellies of our society, prejudice of not only a common person against dance bars but even media outlets prejudiced against them as worst social segments and so on. These are thought provoking instances that keep the story rooted in reality and also show the kind of in-depth research author did on the subject matter. This also does not let the story becoming claustrophobic by just setting it inside a dance bar, rather we keep moving through bars, newspaper offices, hill stations and page 3 society of Mumbai. 3. I personally liked the Yin and Yang approach showing the good and bad in every situation. There is a particular conversation that the character of Roy has with a taxi driver working outside Pallavi's dance bar that gives a nice overview of how different people look at same situation differently. It also brought out the spirit of struggle for survival in this tough city where people gotta do whatever they gotta do to keep a roof over their head, food in their bellies and clothes on their body without wasting their time on worrying about getting judged as 'badnaam aurat'. It wasn't moralistic, it was real and worth remembering. Inclusion of such conversations kept the task of reading Without Prejudice humane. 4. Most importantly, Without Prejudice brought to light extremely disturbing facts about the birth of the tribe of bar dancers, so to speak. Who knew that we actually had a Criminal Tribes Act of 1871 that branded people from 125 Indian castes, tribes and communities as born criminals thus making it virtually impossible for them to get any gainful employment? Even though they later became Denotified Tribes, the prejudice against them continued. This, combined by quite a few other socio-economic and historical factors, contributed the most in rise of bar dancers/ seedy 'massage parlors' and a good percentage of inhabitants in red light districts. This particular portion of the novel is worth its weight in gold as it transforms this journey of a bar dancer into a huge cauldron of simmering social + cultural + economic + historical elements that most of us are unaware of, something that we ought to rectify right now. 5. Finally, I would recommend Without Prejudice for the simple reason that it makes an argument for a consistent language for humanity everywhere- one that should dispel rumors and prejudices and embrace kindness, compassion, dignity for all people. From the Geishas of Japan to Bar Dancers of Mumbai to Strip Dancers of USA, there are similar human stories to be heard everywhere if one is willing to listen. And willing to listen we must be, as that is the first step to live a true life Without Prejudice!